Nancy Hanks, the chair of the Queens County Independence Party and author of the popular blog THE HANKSTER has submitted a poem for us by Hart Crane. 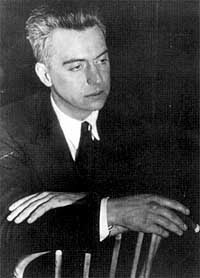 In that spirit, Hart Crane, for me, is the Kurt Gödel of (American) poetry. A game-changer, a fellow traveler of mine. I like this poem because of its humanity.